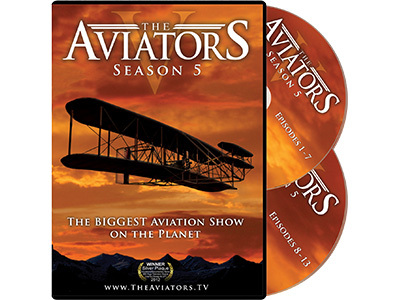 The Aviators is an award-winning weekly TV series featuring interesting people, the latest aircraft, the coolest technology and the best fly-in destinations. It’s action, intensity, and adrenalin mixed with education, entertainment, and beauty. 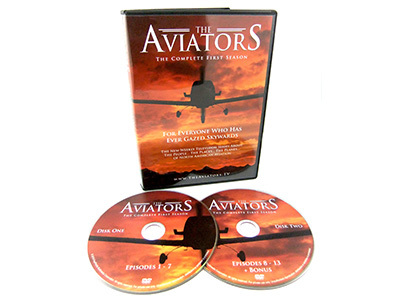 The Aviators is all-things aviation – for everyone who has ever gazed skyward. 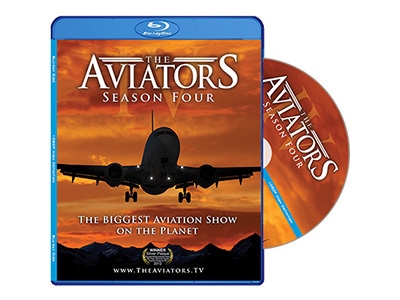 Rob Reider, Announcer: The famous voice of some of the largest air shows in the world. Panel Makeover: The Aviators’ Cessna 210 gets a brand new glass panel cockpit. 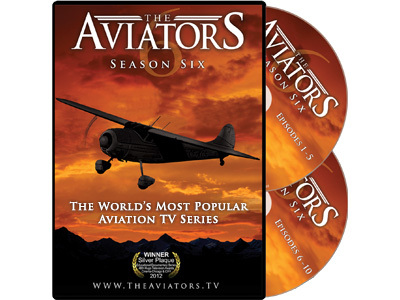 WWII Pilot Training – T6: Kurtis earns his wings in a T-6 warbird. Journey of a Bag: Where does your bag go once it leaves your hands and heads down a conveyor belt at an airport? How does it get from one location to the next? WWII Pilot Training – P51: Kurtis takes you back in time to see what it was like for young WWII pilots to fly in the legendary fighter, the P-51 Mustang. Winter Flying: How do pilots prepare for winter flying? Anthony shows us the different methods to keep yourself and your plane warmed up in those cold winter months. Boeing 787 Dreamliner: We take a look inside this new exciting, efficient & luxurious plane. Black Diamond Jet Team: Nearly as cool as the U.S. Navy Blue Angels and the U.S. Air Force Thunderbirds… but they’re civilian! Night Time Flying: Kurtis and Anthony take us night flying. Some say it’s more beautiful… while others think it’s more dangerous! P-19: Wayne Boggs introduces us to his historic P-19 trainer aircraft. USAF Thunderbirds: A behind the scenes look at the U.S. Air Force air demonstration squadron and their F-16s. Guardian Angels: Experiencing an aviation emergency where the calm voice on the other end of the radio helps get our pilot out of trouble. Thunderbird for a Day: Always wanted to know what it would be like to fly in an F-16? We follow one of our producers as she trains and flies with the USAF Thunderbirds! Fifi: The infamous B-29 bomber from WWII. We take you through the different crew positions of this historic aircraft. Oxygen Lab: Kurtis experiences oxygen deprivation at Embry Riddle University. Anatomy of a Commercial Flight: We unlock the cockpit door to show what goes on inside the areas of a commercial flight that have always remained mysteriously secret. 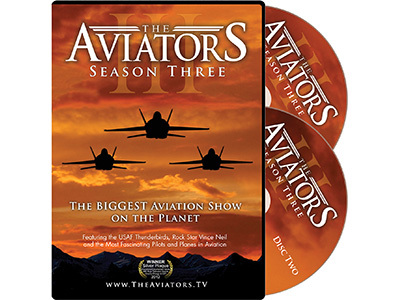 T-28: We profile the U.S. Air Force and Navy training aircraft that also was flown during the Vietnam War. War of 1812: We celebrate the birth of the U.S. Navy at the home of the Star Spangled Banner. Very Light Jets: A rising trend in high-end single pilot flying, we look at the technology inside the Eclipse 500. Basler DC-3 Conversions: Just when you think a classic old airliner might be ready for retirement, it’s converted into a modern marvel. 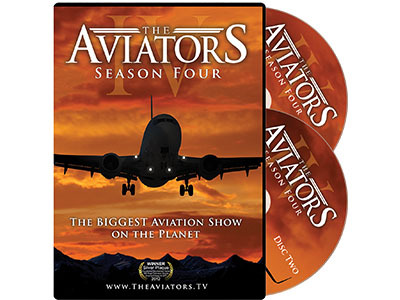 Aviation Career Choices: Anthony visits the University of North Dakota to learn some of the many other ways to make a living in aviation besides being an airline pilot. Start Up and Run Up: Sara and Anthony run the checklists with us as we look at all the steps pilots take on the ground to make sure things go as planned in the air. Weather Makers: Anyone can predict the weather, but this team of rugged North Dakota cowboys actually tames Mother Nature and makes it! 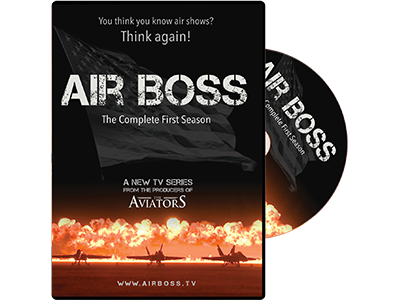 Aerostars: A precision aerobatic team that flies Yak 52s while performing a captivating aerial show in tight formation at air shows all over North America. John Mohr, Barnstormer: We get to know the man who flies a stock 1947 Stearman like no one else on the planet. T-45 Goshawk: We explore the aircraft that introduces fighter pilots to carrier landings. Balloons: Quiet and peaceful, these mammoth bags of hot air require unique skills to fly. TH-57 Ranger: A look at what makes helicopters interesting during this walkaround. MU-2: Sara flies the Mitsubishi MU-2 & learns why it has such a loyal following of pilots. Road America Fly Over: The Wisconsin Air National Guard add a jet-powered punch to the end of the national anthem at a Nascar race at Road America. F-22: The world’s most advanced stealth jet fighter & it’s home at the Nellis Air Force Base. Light Sport Aircraft: Sport aviation is the fastest growing category of aviation and Sonex’s aircraft are among the sector’s most popular. Learning to Fly – Rock Star Edition, Part 1: We hang out with Motley Crue’s lead singer Vince Neil as he starts taking flight lessons! Dog Fight: Taking to the skies with former fighter pilots to dogfight other aircraft in air combat. Learning to Fly – Rock Star Edition, Part 2: Vince Neil of Motley Crue continues his training as his instructor surprises him by unexpectedly calling for his first landing. Skytypers: A formation team that besides performing with military precision actually types long-lasting messages in the sky.